Ukrainian Prime Minister Timoshenko said Russia will be invited into the renovation project of the country’s gas pipeline system. Earlier, Ukraine and the EU signed a deal, which left Russia out. 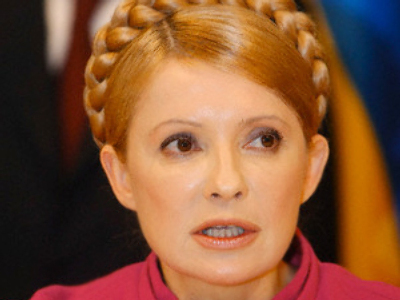 Speaking Thursday to Japanese businessmen in Tokyo, Yulia Timoshenko said: “I am convinced that all misunderstandings between Russia and the EU will be resolved soon and Russia will become a full-fledged member [of the upgrade effort].” The words were cited by the prime minister’s press service. The Ukrainian official also said the talks with Russia on a $5 billion (US) loan would continue soon. Russia’s President Medvedev announced the talks over the loan were frozen after the EU and Ukraine signed an agreement on the repair of the aging pipeline system. The deal signed on Monday in Brussels completely left out Russia, and Russian representatives were even excluded from the talks, which angered Moscow. Prime Minister Putin even threatened to review relations with the European Union, if this attitude of disregarding Russia’s interests became a trend. Ukraine is the biggest transit country for Russian gas routed for Europe, with about 80% of the export going through its pipelines. However, it badly needs modernization which Ukraine cannot afford. The EU is to provide credit worth billions of dollars for the upgrade. Russia’s gas giant Gazprom said Wednesday it was baffled by the agreement, since its implementation will greatly affect the work of the system and cannot be done without consultations with Russia. The pipelines were initially built by the Soviet Union as one system, and Ukraine’s part is highly integrated with the Russian part.